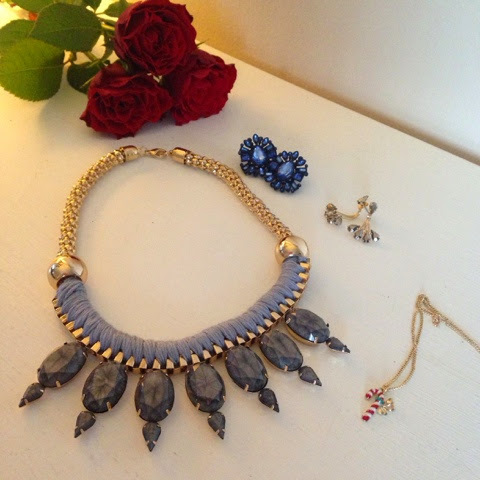 I thought I'd show you some of my favourite items, which all happen to be the jewellery I bought. I just did a post yesterday on bits I picked up. But how did I miss that necklace, it is glorious! Also the little candy cane necklace, very cute! I just read your post, you picked up some beautiful pieces too... Love the bag, so true about paying €50 or more on a similar item on the high street.